Ichikawa City is always introduced as a bed town of Tokyo, actually the city is very close to the urban areas of Tokyo, but there exists nature in it. 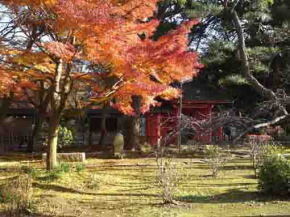 It has several noted spots for viewing colored leaves in fall, so it had been a popular tourist resort in Edo period, Mamasan Guhoji Temple in fall had been one of the best spots for viewing colored leaves in Edo. 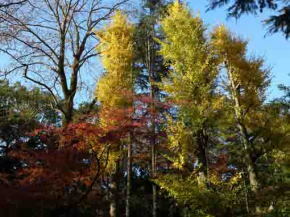 Senbon Icho Gingko Tree had been famous since Edo period and it is now designated as a National Natural Treasure. And there are some huge gingko trees having their own legendary stories in the city. Fall in Ichikwa is very exciting. Why don't you visit the city? 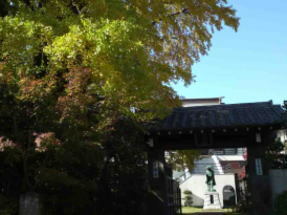 Mamasan Guhoji Temple was one of the most popular spots for viewing colored leaves, it was described in Edo Meisho Zue (a guide book of Edo in Edo period) and it was drawn by Hiroshige Utagawa (a famous ukiyoe painter). 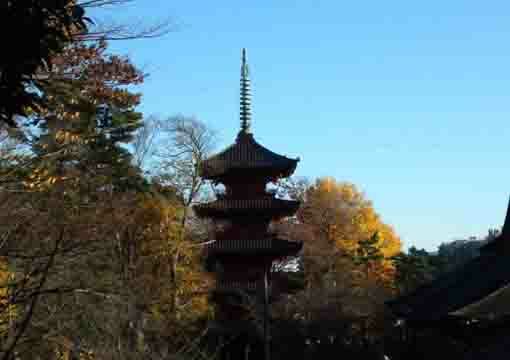 At that time, many people visited it on water from Edo. 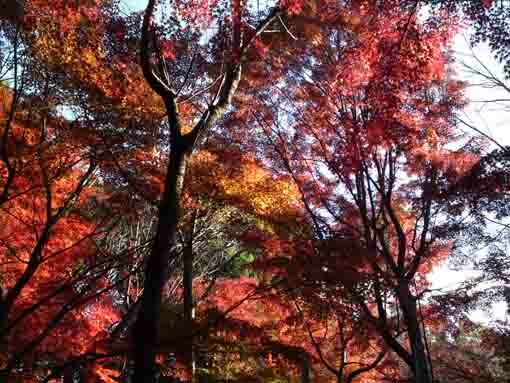 Moreover, Satomi Koen Park, Konodai Green Zone, Ekoin Temple and Junsaiike Pond Park are great spots for viewing the leaves. 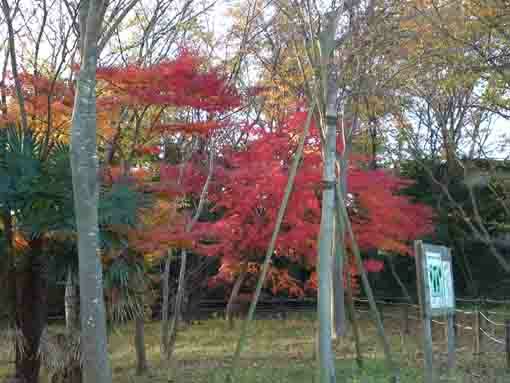 Oomachi Nature Observation Garden has a mountain covered with maple trees, and visitors enjoy seeing them in nature in fall. 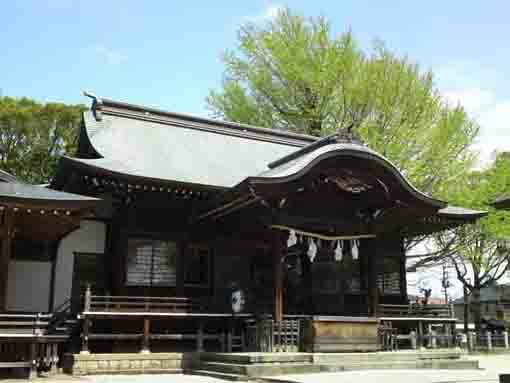 Why don't you visit these spots in Ichikawa City? 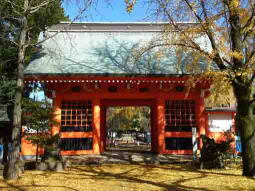 It is very fantastic for walking on golden carpets with gingko leaves in fall. 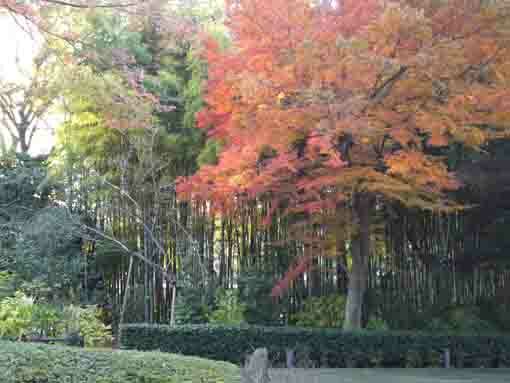 There are many huge gingko trees in Ichikawa City. Senbon Icho Gingko Trees in Katsushika Hachinamgu Shrine as the Nationa Natural Treasure, Naki Icho Gingko Tree in Nakayama Hokekyoji Temple and Oguri Hangan Uma Tsunagi Icho Gingko Tree in Shinmeiji Temple are especially famous and all of them are over 700 years old huge gingko trees. 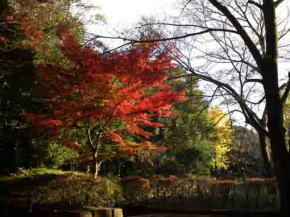 A huge gingko tree besides Himemiya Shrine stands at Junsaiike Pond Park. 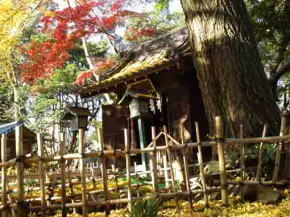 You could enjoy these huge gingko trees and their legendary stories on a local train. 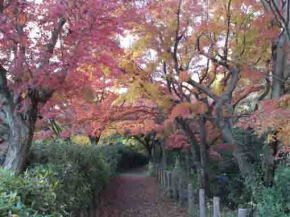 Why don't you visit to see them in Ichikawa City?